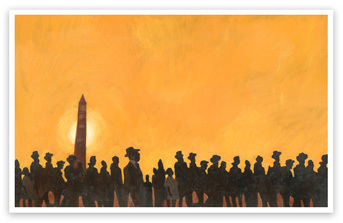 This image is reflects the famed march on Washington. The feeling of this work gives you an artistic glimpse into what it would have been like to be at this historic event. The warmth of the color pallet will bring vibrance to any environment.